And the journey continues with Meera's newest journal, Made Out of Stars, available now. Meera Lee Patel is a self-taught artist and author of My Friend Fear and Made Out of Stars. She creates work that inspires others to connect with themselves, each other, and the world around them. Visit her online at www.meeralee.com. 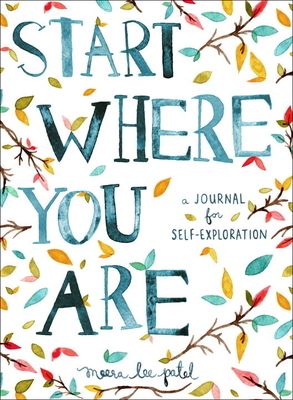 "Meera Lee Patel's journal for self-exploration is a work of art on its own, filled with lushly illustrated prompts and advice, and plenty of room for you to discover and create your own beautiful revelations." "I am obsessed with Meera Lee Patel's work. It's bright, calm, zen and botanical. All the things I love." "Meera Lee Patel is an absolute gem!"